You know, the more I travel, the more it matters to me. Visiting new countries with their cultures and the most beautiful sightseeing places brings us a huge life experience. Moreover, it not only makes us think wider, ut also keeps our brain and soul full of energy. That’s why I can say that people grow up, as flowers under the sun, with every new trip. If earlier it was difficult for me to “record” and later share all pleasant moments, events, and beauties from trips, and now, it’s easy as to walk in the park. Due to Instagram, Snapchat, Facebook, personal blogs, and other benefits internet provides us with, it’s easy to share your traveling experience with the whole world! Moreover, a lot of travelers make money by posting exciting stories and breathtaking photos. As for me, I’m thinking about launching my own travel photo blog, so, I could not only post travel photos online but also find important connections soulmates. If you share my opinion, you definitely would like to have a look at this free travel photo blog WordPress theme. It’s a new free theme developed by Zemez team, it allows you to analyze it from every angle. So, what does it have inside and outside? This travel blog free WordPress theme is extremely intuitive, so, you can discover the process of your own travel blog building in details with no effort. It’s sleek & smooth and, so, definitely will provide you with an enjoyable user experience. Travelop Lite comes with a step-by-step documentation and valid semantic code. Therefore, you do not need any advanced skills to install the theme to build your personal travel blog in general. Being fully SEO-friendly, this travel blog free WordPress theme boasts an ultra clean and beautiful design, so, nothing will distract visitors from your content. Moreover, theme’s design is fully responsive. Therefore, your blog will perform brilliantly on any modern device. WordPress Live Customizer is a handy tool, which provides you with a live site’s customization process. Feel free to delete, add, or even to start over. With this feature, you can see all the changes without reloading the page and set up your blog with no additional help needed. Travelop Lite is pre-loaded with a rich choice of Google web fonts. So, you can decide on a favorable font for your blog on the fly! Also, this free travel photo blog WordPress theme has a Power Page builder, tons of cool content modules and widgets, and more! For sure, all these goods will help you to create a travel blog of your dreams! 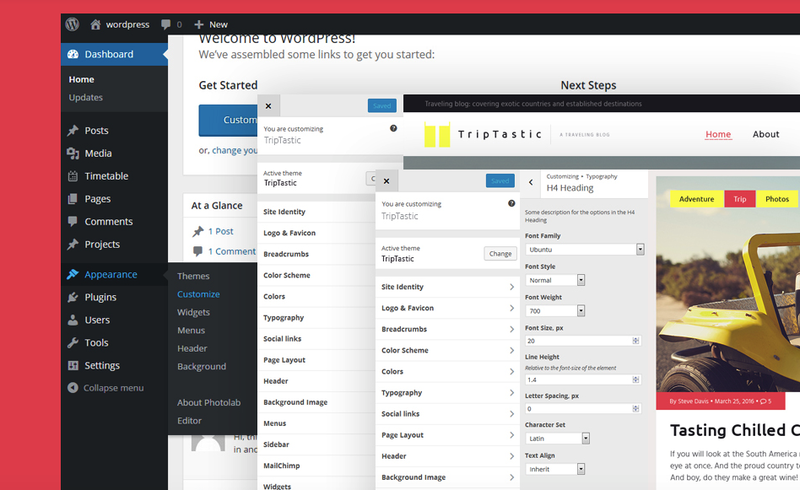 By the way, if you would like to see some premium solutions, view out travel guide WordPress themes from our collection. 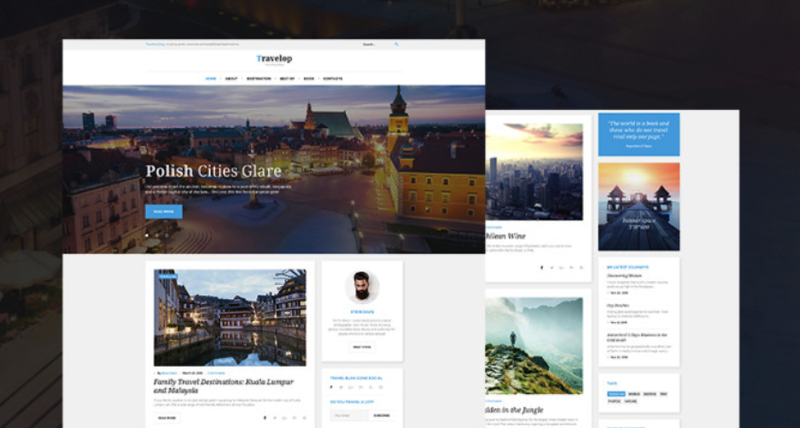 How do you like this free travel WordPress theme? What ideas do you have for your own traveling blog? Please, do not be shy to share your thoughts in the comments section below. Travel a lot and thanks for reading! This entry was posted in Free Stuff, Free Themes, Travel. Bookmark the permalink.